Last year I already had the opportunity to visit the ECC Forum. 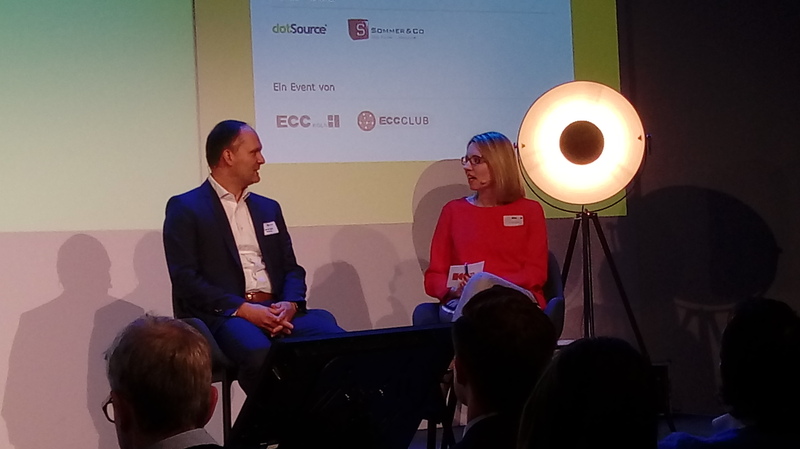 While the event I attended in September was primarily aimed at B2B decision-makers, the ECC Köln focused on B2C topics on April 3rd. Unfortunately I could not visit the B2B-Forum 2019 the following day due to scheduling reasons. But for all those who could not visit the B2C Forum, I would like to summarize some insights and notes of selected lectures in this article. As last year, Dr. Kai Hudetz, Director of the Institut für Handelsforschung and the ECC Köln, opened the ECC Forum with his keynote speech. Companies with high innovative power (e.g. GAFA) dominate, so that the gap in e-commerce continues to widen. This can be seen, for example, in the Relevant Set of the DIY sector: traditional chains such as OBI, Bauhaus, toom, etc. continue to be present in brick-and-mortar business, while Amazon dominates online. Retailers must differentiate themselves and create added value for their customers in order to remain successful online in the future. The associated transformation is exhausting and a permanent process. It’s not a project that’s ever gonna be completed. Action days such as Black Friday etc. are undoubtedly on the rise and enable new business models. Social media networks such as Instagram are increasingly developing into sales platforms. The importance of bloggers and influencers is also increasing – especially in the young target group of 14 to 19-year-olds. 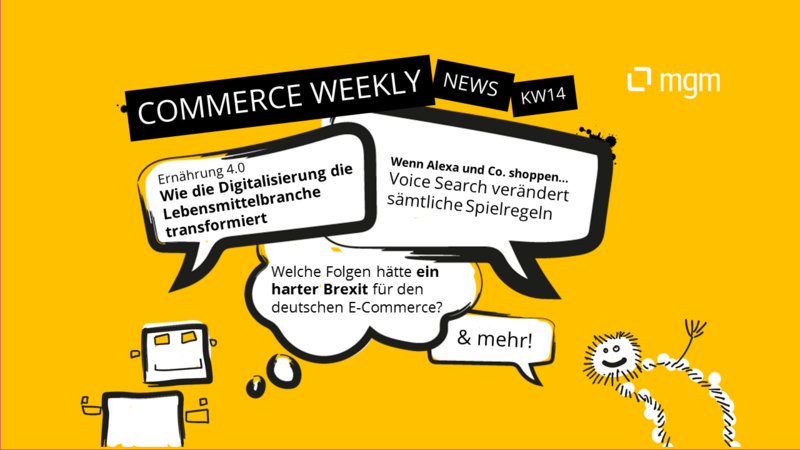 Voice commerce is still in the experimental phase, but the breakthrough is about to happen. 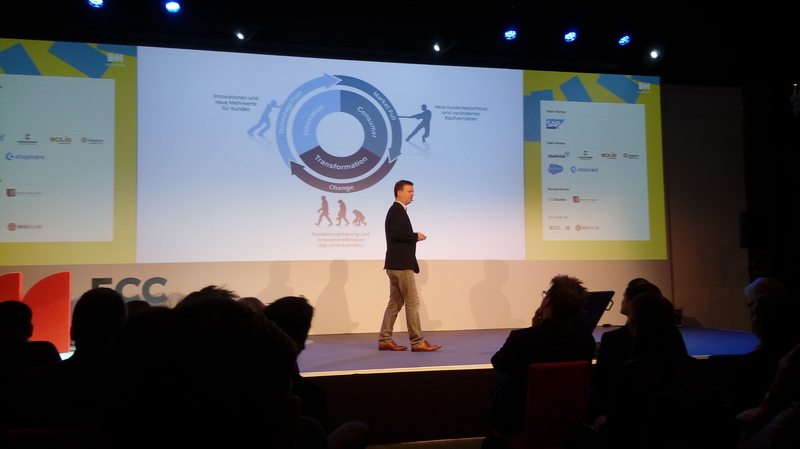 Afterwards Marcus Diekmann, CCO and CDO at the bicycle retailer ROSE Bikes, explained very impressively which mindset companies have to develop in order to be successful today and in the future. Diekmann recently worked in the mattress business. The latter has recently undergone several disruptive transformations due to the success of Bett1 and the associated emergence of distance trade and the boxspring trend. In terms of the way of working it helps to learn from Scrum. Define consumer needs based on the data. And then execute the process “Test -> Learn -> Build Bigger” again and again. It can also help to cluster and prioritise ideas. What do I have to do today for tomorrow? What do I have to do today for the day after tomorrow? What other potentials do I have? 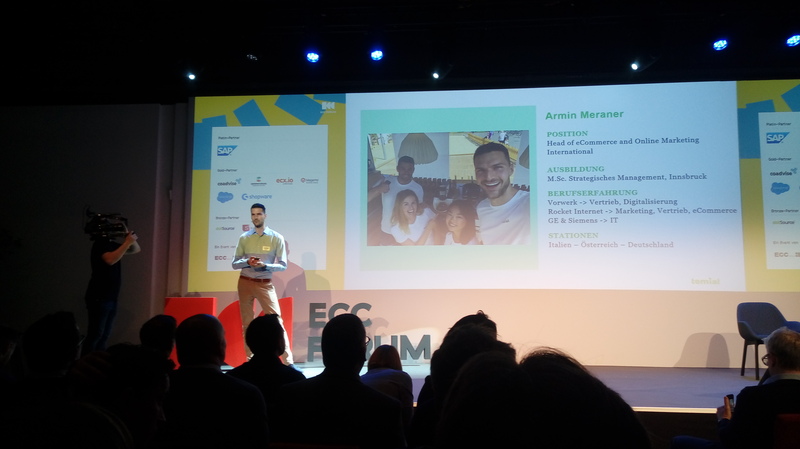 After a short coffee break, Armin Meraner, Head of eCommerce at Vorwerk Temial, revealed how his company digitizes direct sales for the sale of the fully automatic tea machine Temial. In the past, Vorwerk sold its products mainly via commercial travellers. Today the distribution takes place in particular via parties. The advantage of direct sales for Vorwerk is that the company is very close to its customers in this way. But even this form of distribution must be digitized in order to continue to be successful. Vorwerk consultants are self-employed and earn commissions. Challenge: How can a digital channel, via which the customer can order after the consultant contact, be designed fairly for the consultant? o Consultants were actively involved in this huge change for them. Consultants were also always involved in testing the solutions. o At first, consultants did not feel comfortable with the Omnichannel strategy. o Therefore a Commission Engine was developed, which calculates the commission of the consultants based on all sales data. o The consultants thus also receive a certain commission if the customer does not order immediately. o For this purpose, the data of the client and the consultant must be linked together. This will be done during the party via Gamification. o The ordering process also has to be digitized. The order is now completed via the customer’s smartphone. This process creates trust. o Runs with focus on ease of use. BabyOne: Think big for little people! In a QA session, Dr. Eva Stüber, Member of the Management Board at IFH/ECC Köln, talked to Stefan Keil, Managing Director of BabyOne, about the digital challenges facing the baby retailer. BabyOne sells products for children aged 0 to 3 years. The target group is therefore very small. Substantial parts of the customer base have to be acquired year after year. Brick-and-mortar retail is an important mainstay and will remain so. Especially with baby articles, customers still value the haptic experience. Nevertheless, Omnichannel offerings will continue to be expanded. However, the franchisees are strongly involved, e.g. via the “Fachmarkt Online” offer: All stores are listed online with their inventory. When the customer buys something via the online store, it is shipped from the store. The franchisee receives the turnover. The baby article market is characterised by a large brand strength (e.g. Maxi-Cosi). This promotes the Amazonization of the industry. BabyOne must therefore reach a similar level in terms of prices and product information. In addition, the company tries to differentiate itself through its own brands and its brick-and-mortar stores. Tim Buchholz, Principle Platform Business at OTTO, on the other hand, provided a look at the challenges within the platform economy. With an annual turnover of 3.2 billion euros and constant linear growth, OTTO is actually in a good position. But platform operators are experiencing exponential growth. 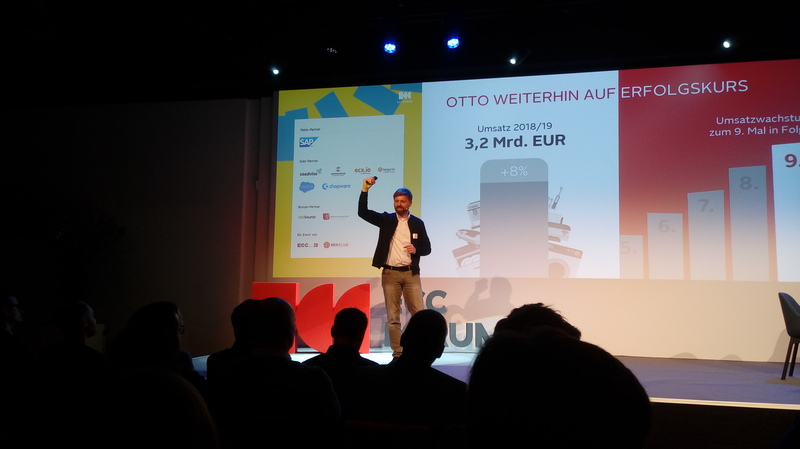 OTTO also intends to transform its business model in the direction of platform business. In order to understand the success of the platform economy, three things are crucial. The human brain has been working the same way for centuries. However, the range of products available has increased considerably in recent decades. This leads to the so-called Paradox of Choice: people are attracted by a large selection. At the same time, the huge selection also demotivates. Platforms thus attract customers because of their large range of products, but are faced with the challenge of giving customers the feeling of buying what is right for them personally. If this succeeds, the providers can enjoy the loyalty of their customers. As early as 1956, scientist George A. Miller discovered that a human being can only keep 7 ± 2 information units present in short-term memory at the same time (the so-called Miller’s law). More providers therefore do not make it into the relevant set. This plays into the hands of platform operators. Platforms also benefit from the umbrella effect: once customers have had a good experience with a brand, they transfer this feeling to their further contact with the brand. Companies must therefore above all offer customers positive experiences. 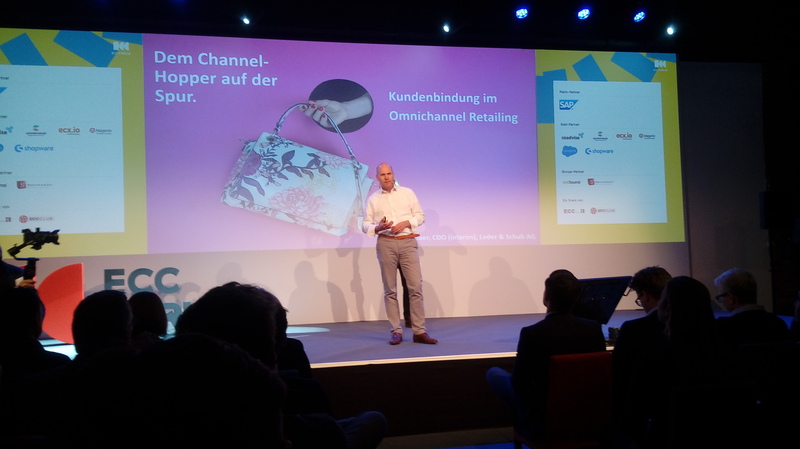 In his talk, Rafael Baer, CDO of Leder & Schuh AG, provided information about the omni-channel activities of the shoe retailer HUMANIC, which is mainly present in Austria. Study results show that almost 100 percent of consumers under the age of 50 prefer online shopping. This is of course a problem for a stationary retailer like HUMANIC. o yourSize: The customer’s feet are scanned and measured in a branch. This also happens with all products in the range, so that customers can also see suitable models online. Among other things, this leads to a decline in the returns ratio. o Valuation management: Active customer engagement (both digital and business) has led to a significant increase in positive valuations in particular. In addition, a tool was introduced to check ratings across all channels. 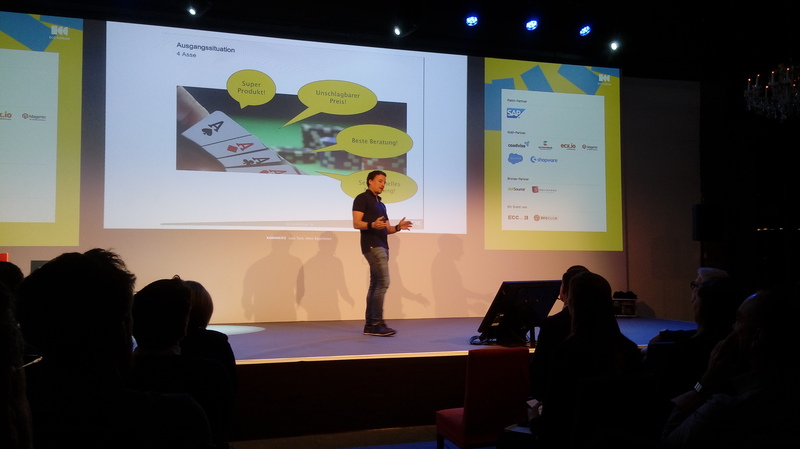 Shortly afterwards, Henning Henningsen and Matthes Kohndrow, Product Owner at Audi, gave an insight into a part of the automotive group’s e-commerce activities. The starting points for e-commerce in the automotive sector are Vehicle Sales, Aftersales, Mobility and Digital Services. Henningsen and Kohndrow deal with digital services. Challenge: Cars have a very long, linear lifecycle. It often takes almost 20 years from the idea to the end of production. Digital services, on the other hand, have a different claim: they go live much faster and are then iteratively optimized. The work on Digital Services must take place between these two worlds: On the one hand you need flexibility, but on the other hand you are also bound to the specifications of the group (time, budget, quality, etc.). The digital services are technically realized as microservices. The core contains generic platform services on which various use cases can be set up as apps. The organisation also had to change. Initially, those responsible for e-commerce at Audi were based in different organisational units. For this reason, a matrix structure was first established so that the employees could work together beyond the boundaries of the organisational units. Now a separate department is being promoted.